Anyone who knows me knows that I love personal development. Last year, I read The Compound Effect by Darren Hardy, publisher of Success magazine. 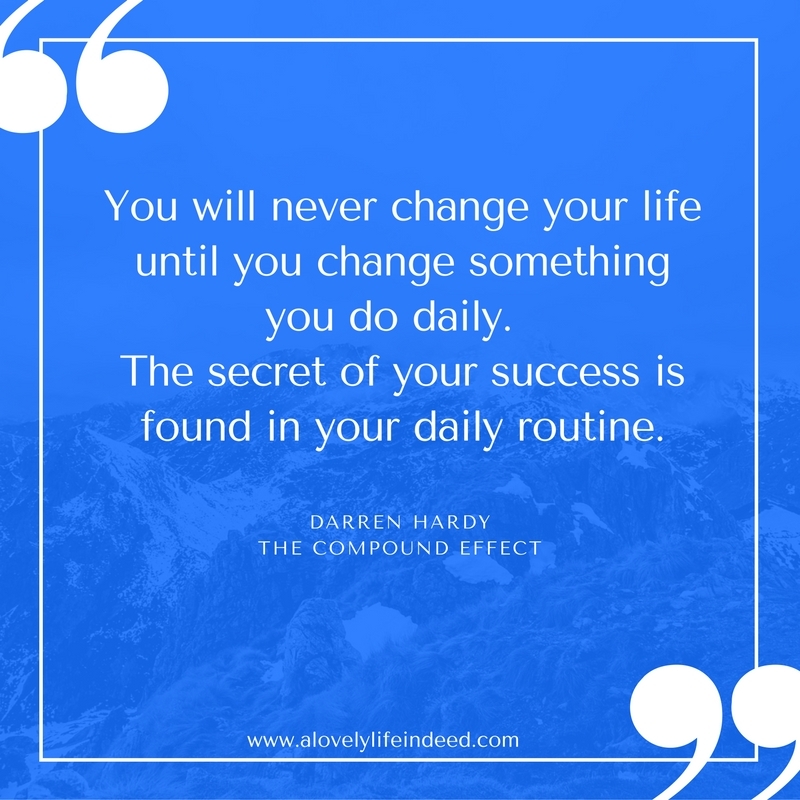 The cornerstone of The Compound Effect lies in the belief that it is the choices you make every day over time that yield the greatest results, for better or for worse. For example, a daily commitment to nutrition and fitness can yield great wellness results over time, but inconsistent nutrition and fitness over time can result in disaster...poor health and overall malaise. Frugal spending over time can result in big savings, but absent-mined spending over time can result in big debt. It all adds up...for better or for worse. The focus of today's work is in creating habits that build a foundation for success. If creating a freedom plan is a priority, it will take time and consistency. In Day 5 of the Freedom Plan Blog Challenge, Natalie Sisson challenges us to create a daily success plan for work that moves us closer to achieving our goals. For increased productivity, Natalie suggests using a time box method, like the Pomodoro Technique, in which work intervals are organized into 25 minute increments, using a timer, like the famous Pomodoro tomato timer. When the 25 minutes are complete, you take a break. Then, you do another 25 minute session. The idea is that your productivity increases with shorter deadlines and shorter, more intense work sessions. With a shorter work session, there are fewer distractions and a better chance of accomplishing the task. When it comes to work and productivity, I thrive on routine; it takes the guess work out of the mundane and I have more creative energy to dedicate to my work. After my work is complete, the rest of my ideal day, which I described on Day 3 of the challenge, is mine. In your ideal day, what would your success plan look like? How would you break up your most important daily actions? Have you used a time box method, like the Pomodoro Technique? 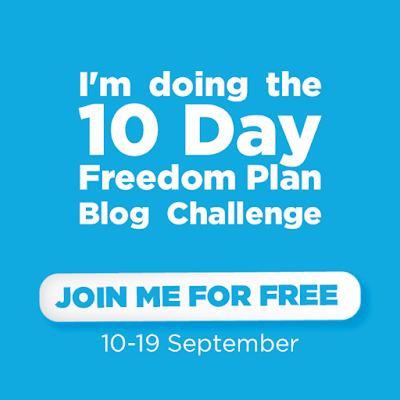 Share in the comments, and better yet, join Natalie's free Freedom Plan Blog Challenge? Sign up here. Nice Plan for Day 5 Kelly. I like the twenty-five minute intervals toward accomplishing tasks. Best Wishes for many productive ideal days!